I adore texture and how it can take a room from blah to wow! If you’re wondering why it’s so important check out my post Texture, Your Secret Weapon here. Today, I thought we’d look to our walls and provide us with some wonderful textural inspiration rather than the usual suspects of cushions and throws. Our walls tend to play host to art work, and although they add colour and interest to the room, they don’t necessarily always provide textural qualities to our spaces. 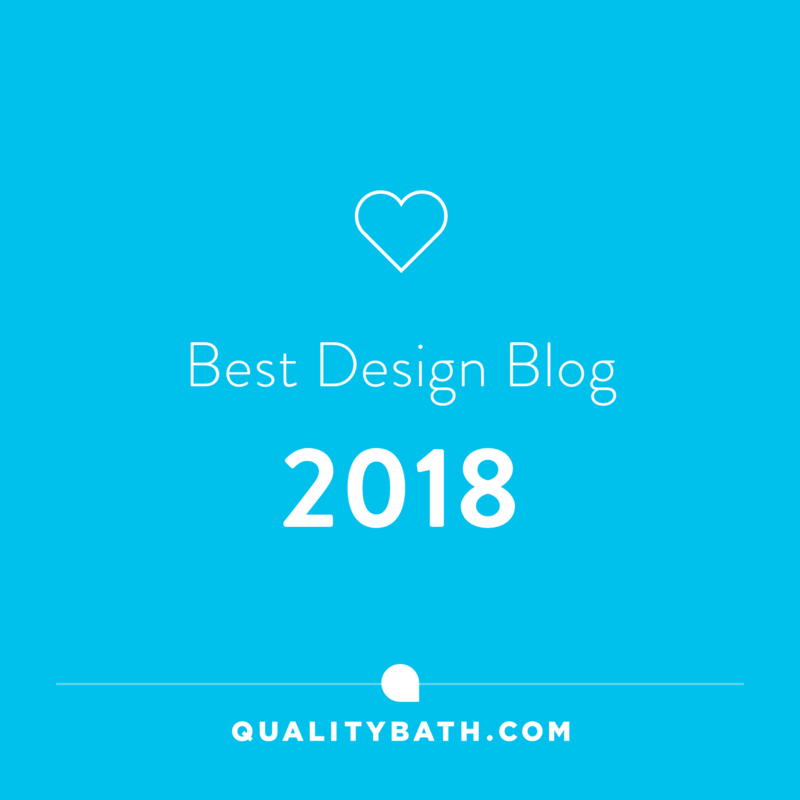 I’ve put together some alternatives for our walls that not only offer some decorative form and colour but the wonderful addition of texture that our homes need to create interest and make them sing. 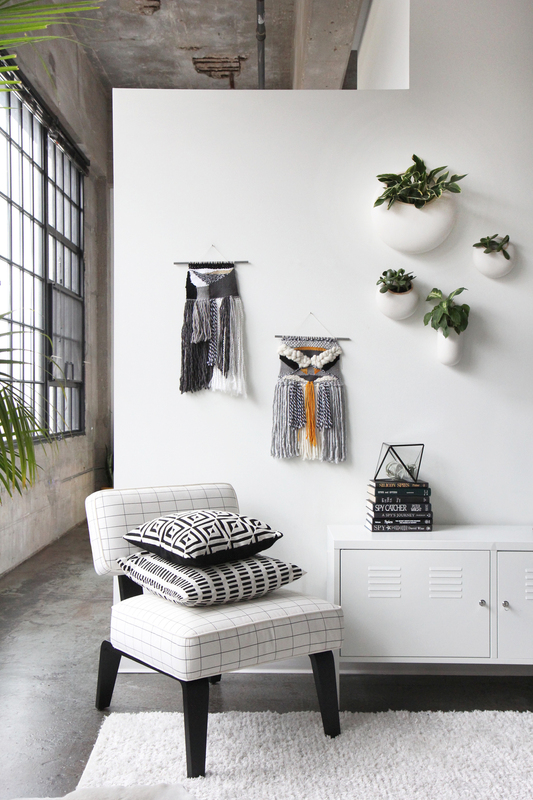 If ever there was proof that trends go full circle, (given the time), it’s macrame or weavings as they are now known. As a child, growing up in the 70’s, my houseplant lover mum, had macrame plant hangers holding spider plants virtually all over our home. Although, the difference between back then and now is that the quality and choice of the materials used have improved immensely. Also known as woven wall hangings they can be as simple as the one displayed above to more detailed, intricate pieces below. 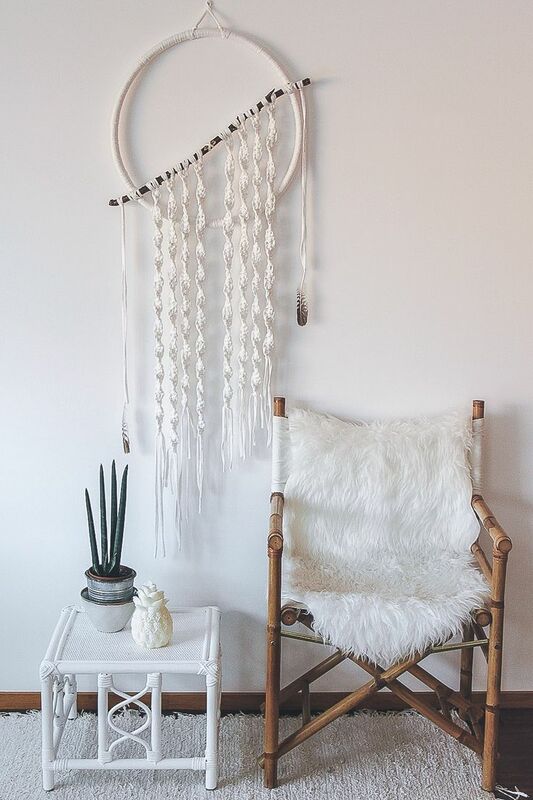 Offering a modern boho vibe to our homes, I personally think they look fabulous! 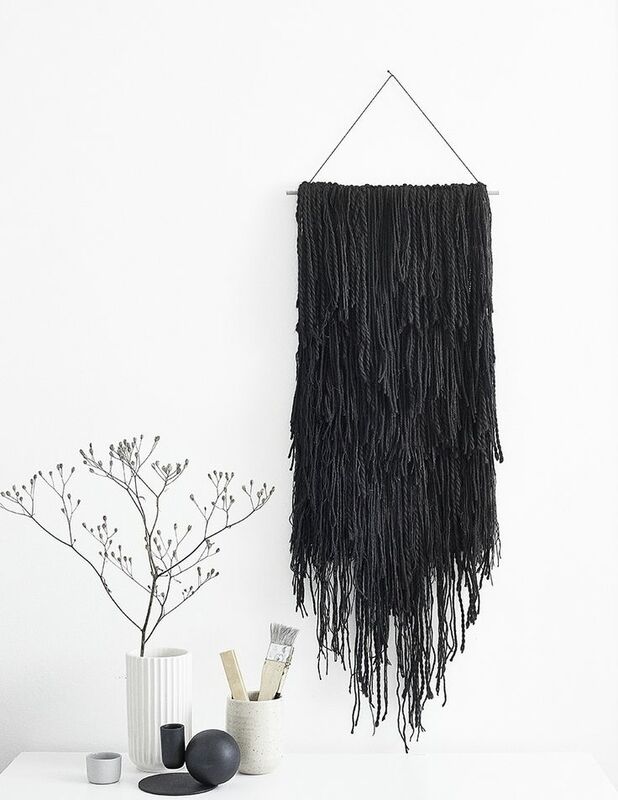 There’s a whole host of woven wall hangings available when you start looking. And if you’re crafty enough there are plenty of online tutorials to make your own. 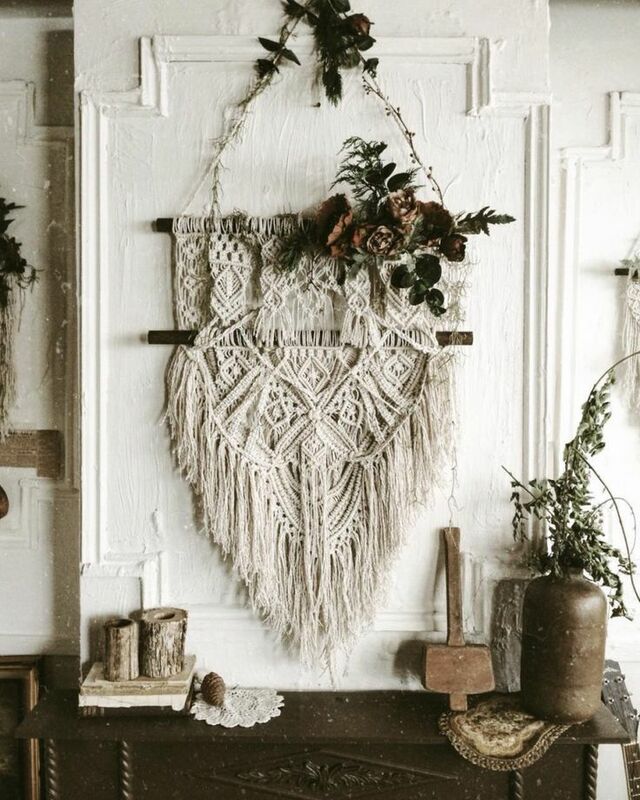 The wonderfully reinvented boho macrame decorative wall hangings today are beautiful textured works of art to be admired and are visually tactile pieces. I for one are pleased to see these vintage flat weave textiles come back in style. What do you think? 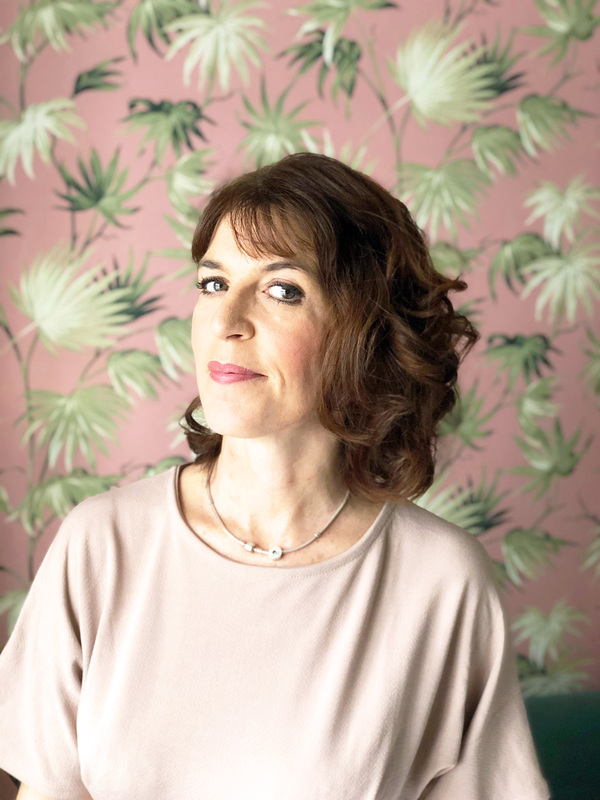 I’ve written so much about houseplants, that if you’ve been following me, you’ll know how important they are in terms of making our homes come alive with their wonderful textures and many forms. It’s probably no surprise to you that I’ve included them here, but this time as wall hangings. 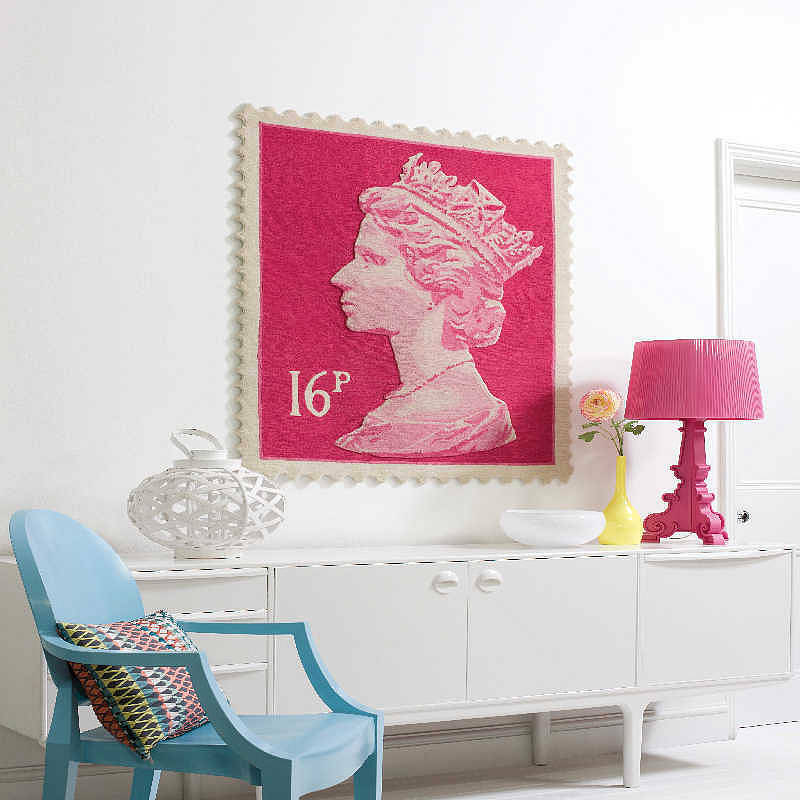 You could even combine them with a woven textured wall hanging or two, which offers tactile textural interest. 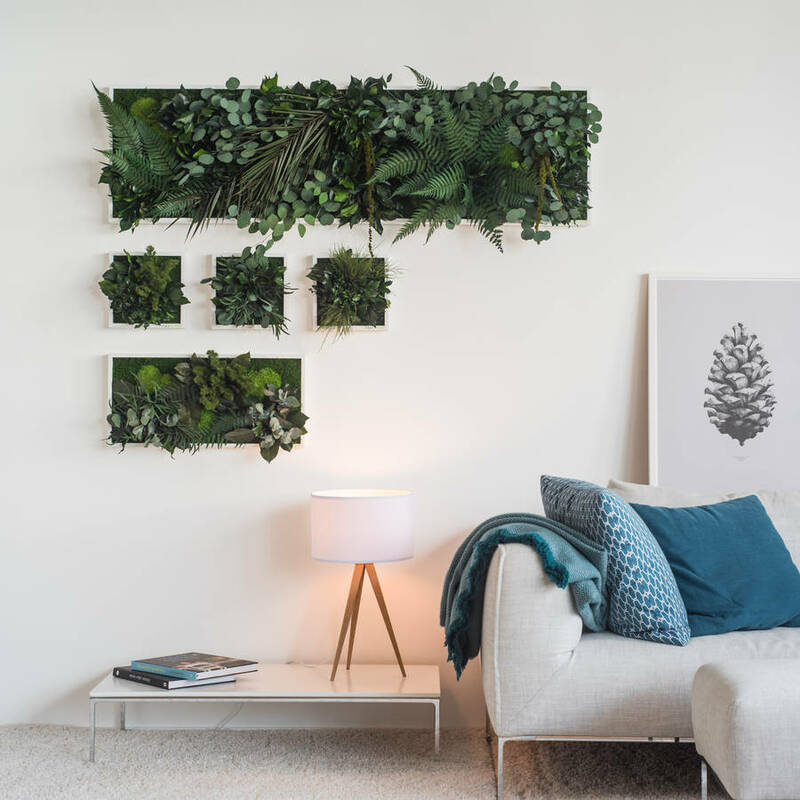 These planted islands by Grattify are perfect for transitional or awkward areas in your homes by adding a 3d quality to your walls whilst creating a link between spaces. Our desire for texture has brought about innovative rug designs such as relief patterns using different heights of looped wool to quilted, appliqué and stitching. All of which provide 3-dimensional textural qualities to our floors. As a result, rugs have become modern works of art. It’s only right then that we maybe should hang them from our walls to enjoy in all their glory. Decorative rugs not only provide texture, they can double up as art work whilst having the additional sound proofing benefits. Great for open plan spaces where sound can be absorbed rather than deflected. 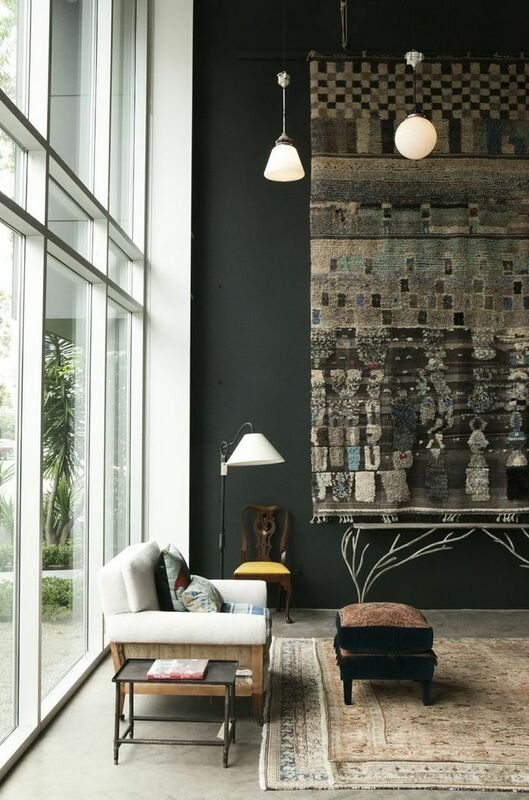 If are fortunate enough to have high ceilings, then hanging a rug is not only cost-effective way to adorn your walls with art, it’s a great way to create a feature wall and/or make a statement. 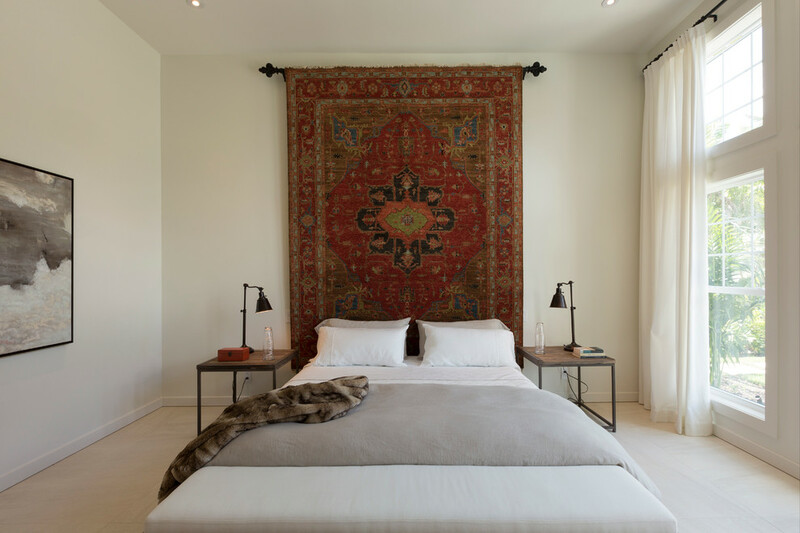 This vintage find rug, has been used as an alternative to a headboard and adds warmth and depth to this minimalist bedroom space. Rugs are works of art in their own right and contemporary ones like the above add a real funky vibe to a modern setting. The natural texture of a basket gallery wall is that they add a 3d textural quality to your walls. 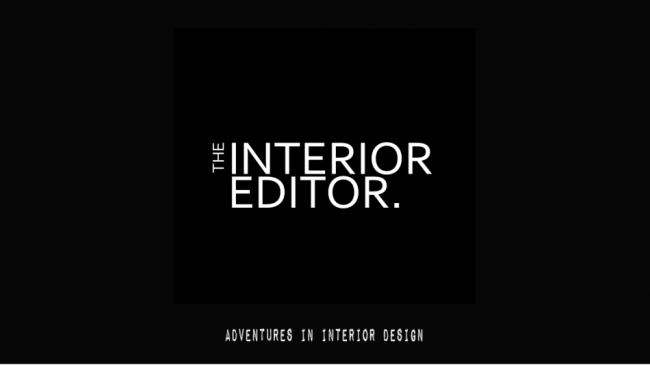 Darker walls/spaces need and benefit from more textural contrast to help lift them. 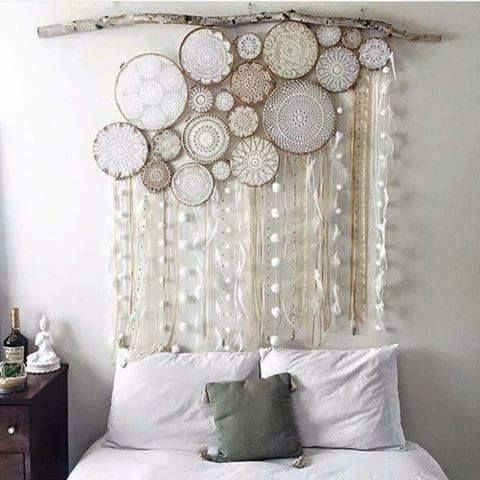 What better way to do this than with some vintage basket hangings. 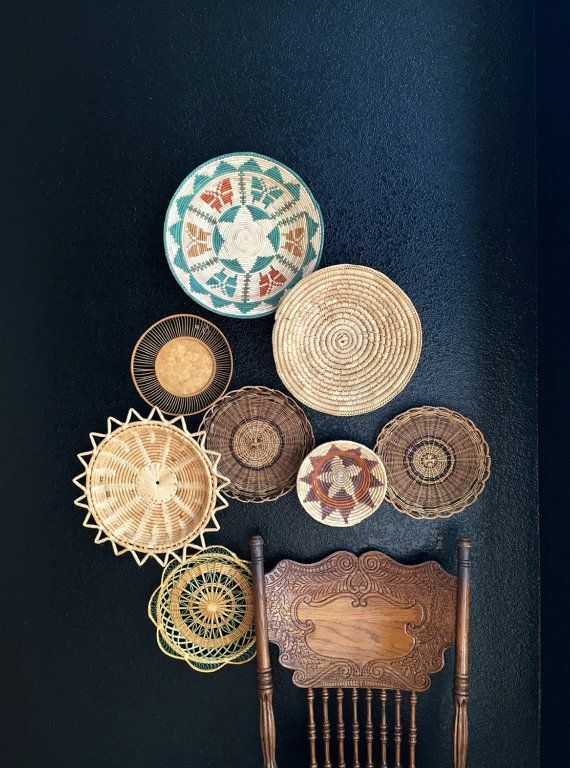 The combinations of detail each basket offers brings a whole host of interest to a wall. 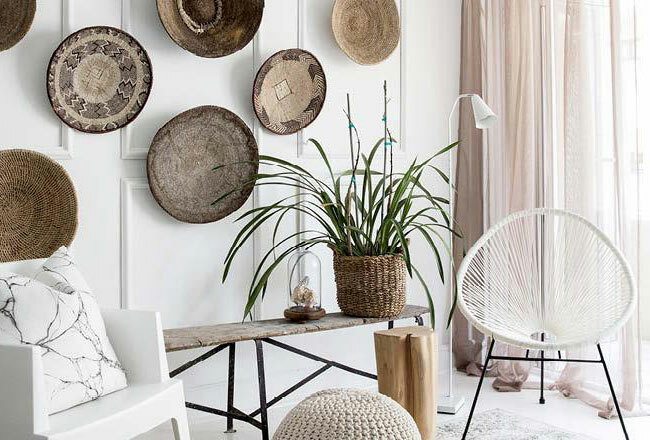 Baskets add a lovely hand crafted and artisan element to your walls no matter what your colour palette. They are definitely a winner when it comes to adding texture to our walls don’t you think? Of course, you could also mix it up a little by adding baskets with artwork.